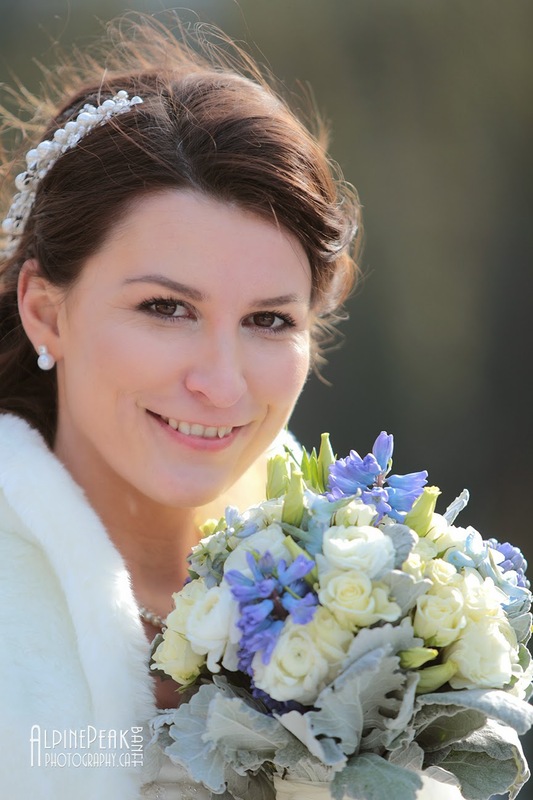 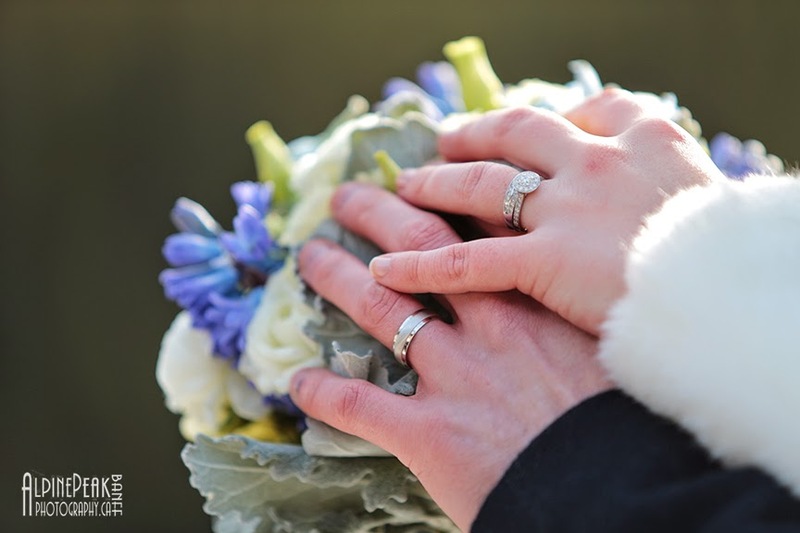 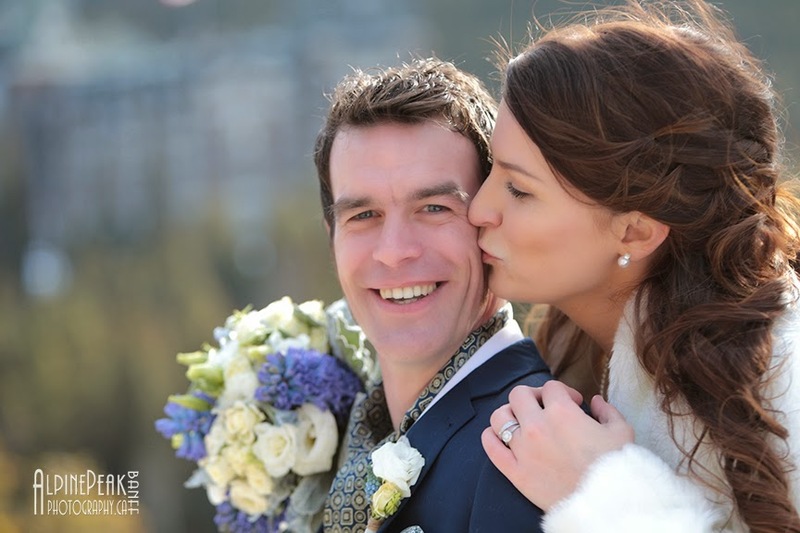 Chris & Carina and be part of their special day! 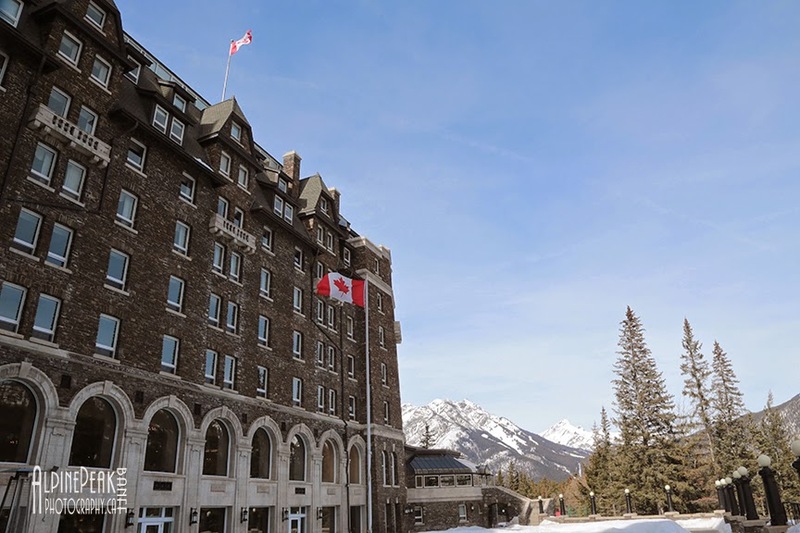 It was a gorgeous "bluebird" day in Banff. 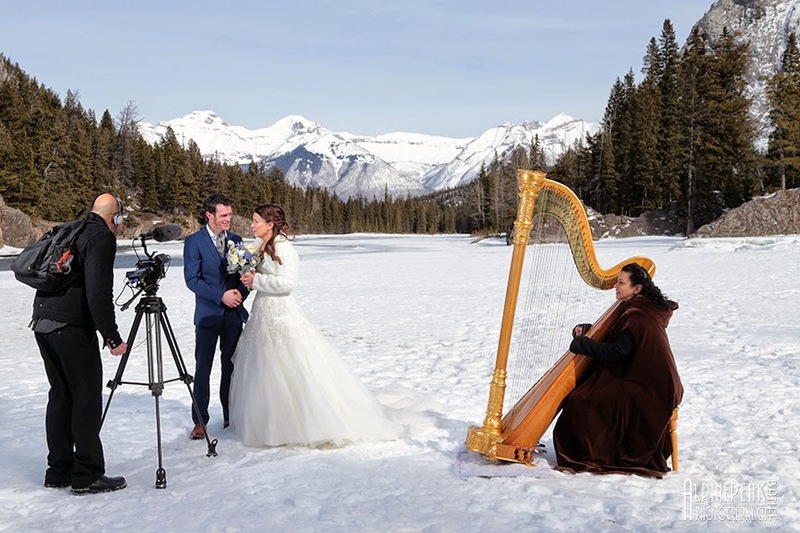 so they could relax and enjoy their Wedding Day. 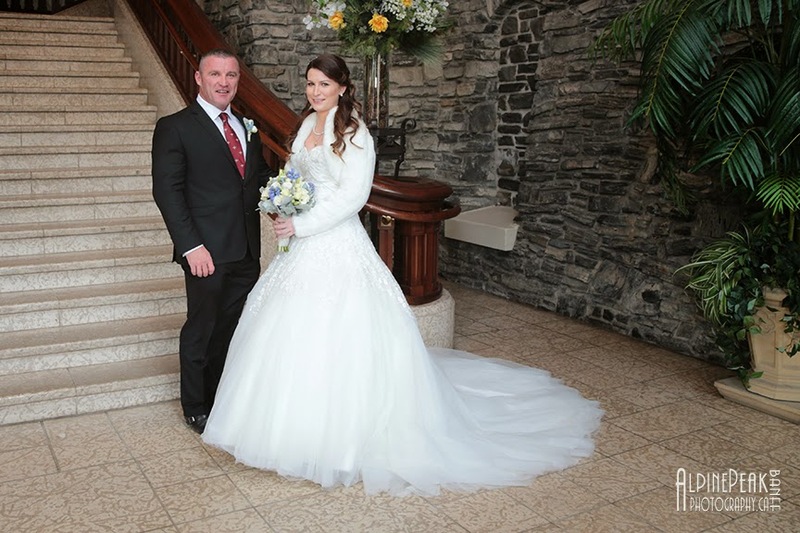 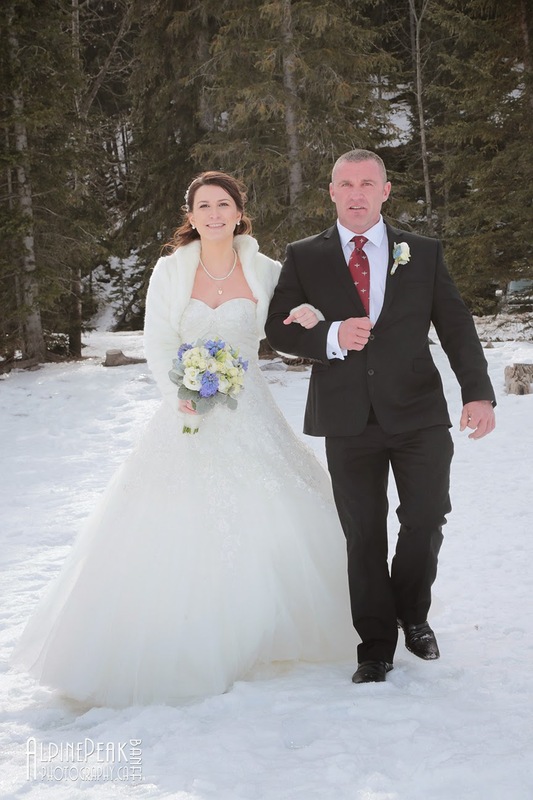 to walk his beautiful sister down the aisle and give her away. 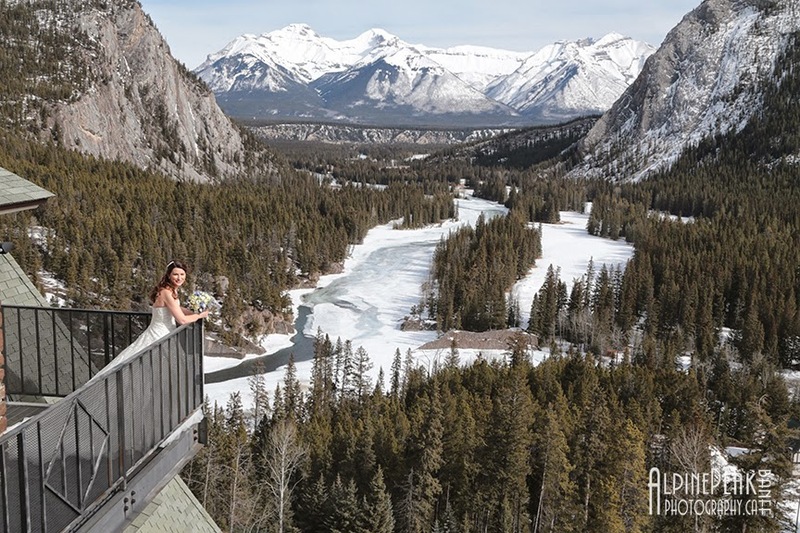 Hotel in the Presidential Suite. 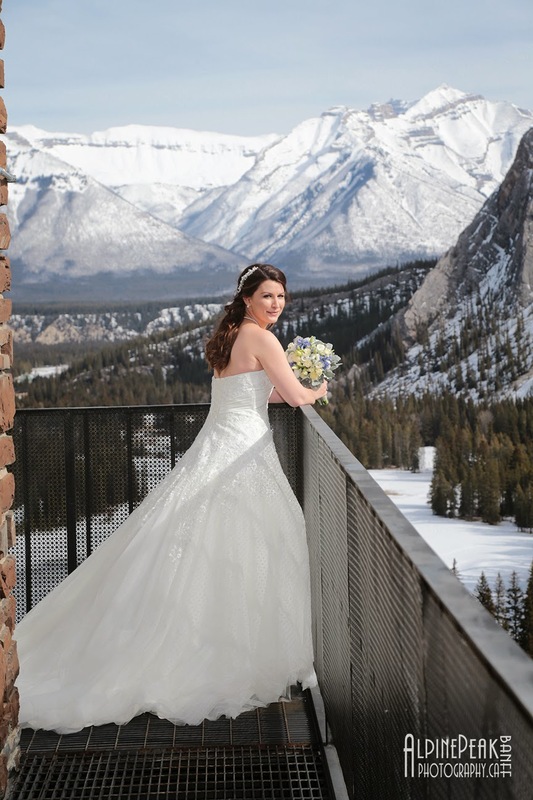 They had an amazing view overlooking the Bow Valley. 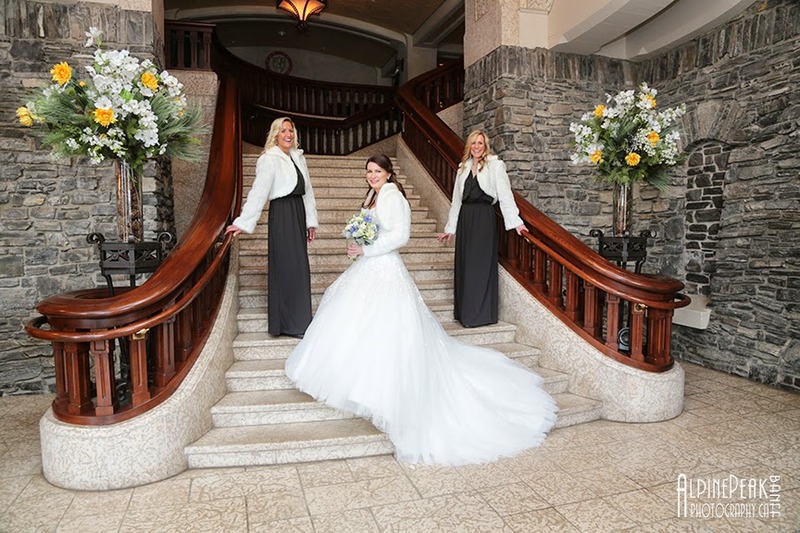 Love this shot in the "castle" lobby. 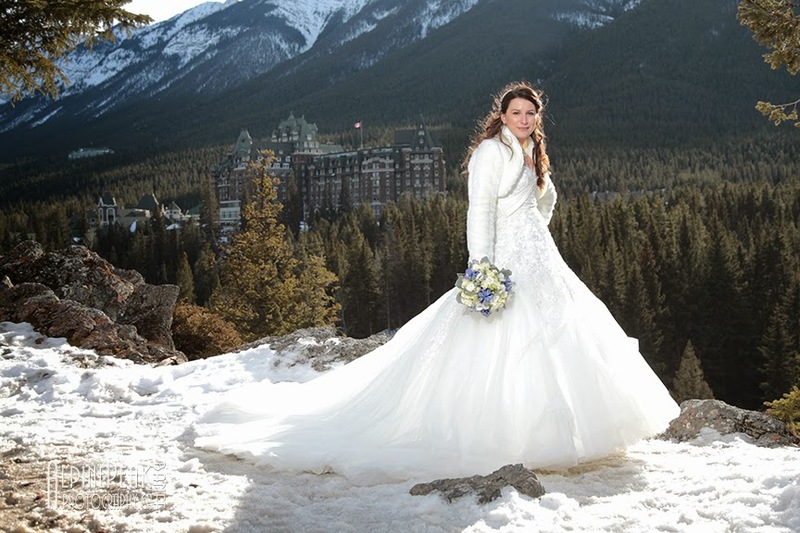 bride to arrive at the outdoor ceremony location. 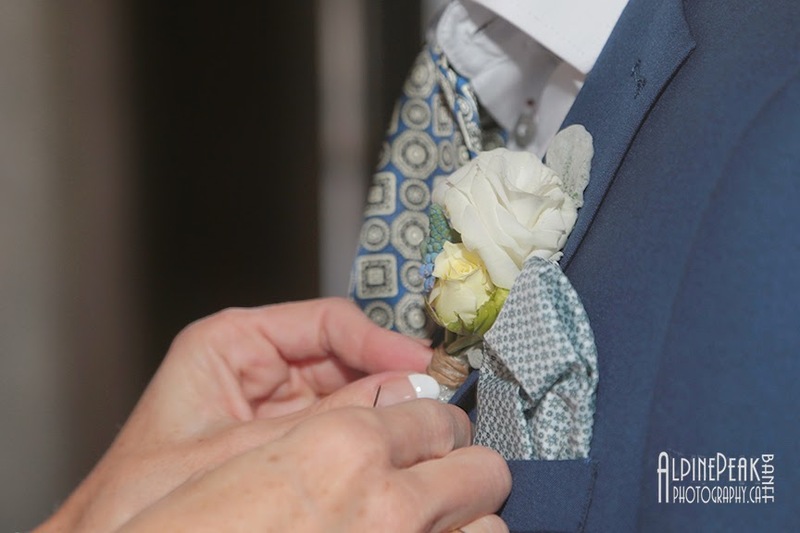 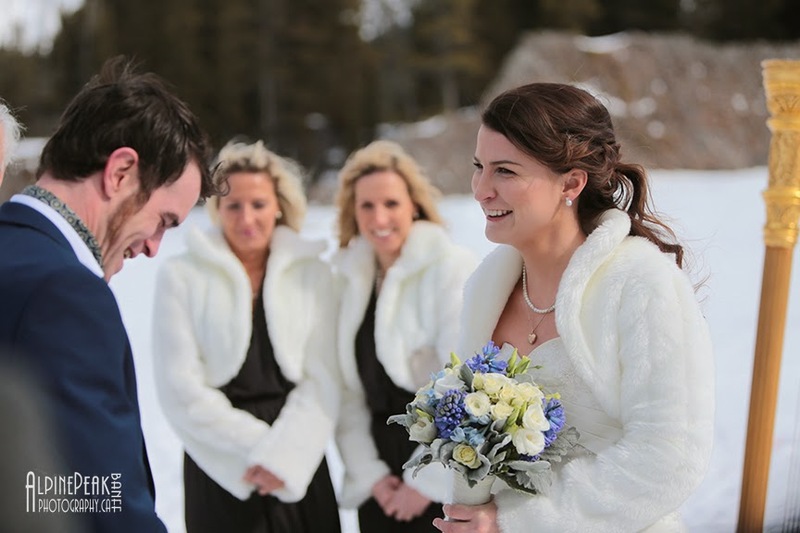 It is a very special moment when the groom see his bride for the first time. 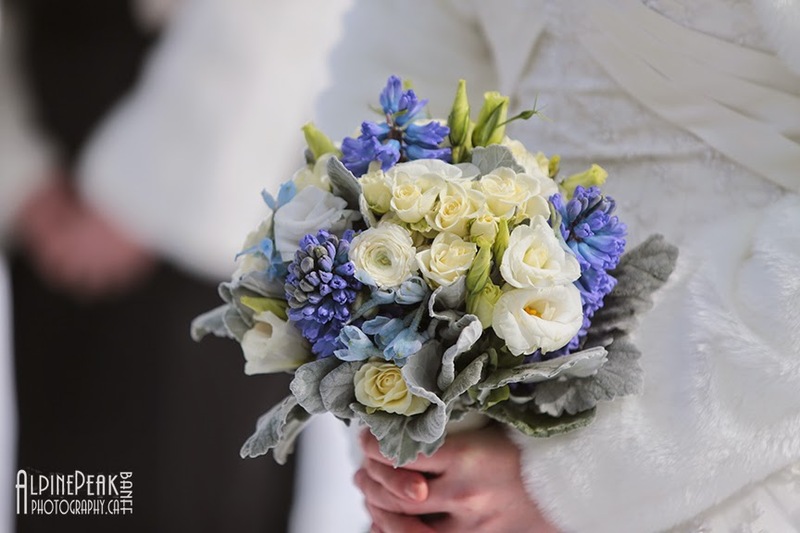 bouquet from Forget - Me - Not Flowers. 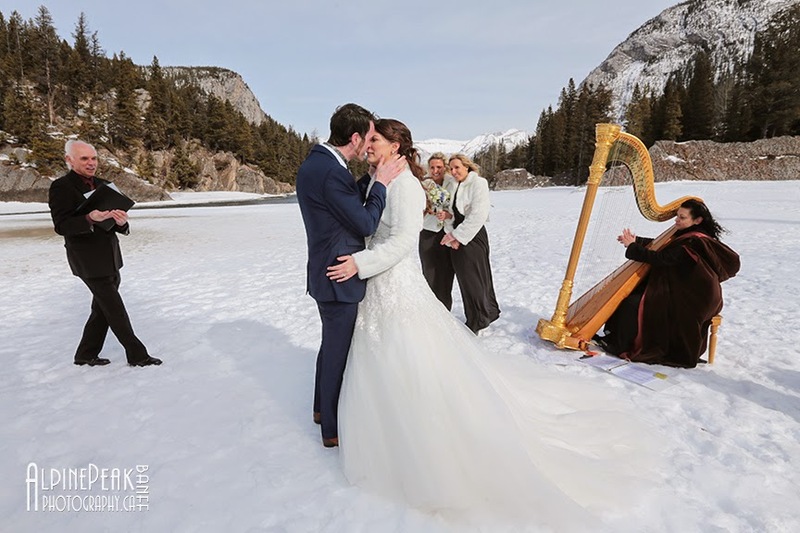 is a truly magical moment. 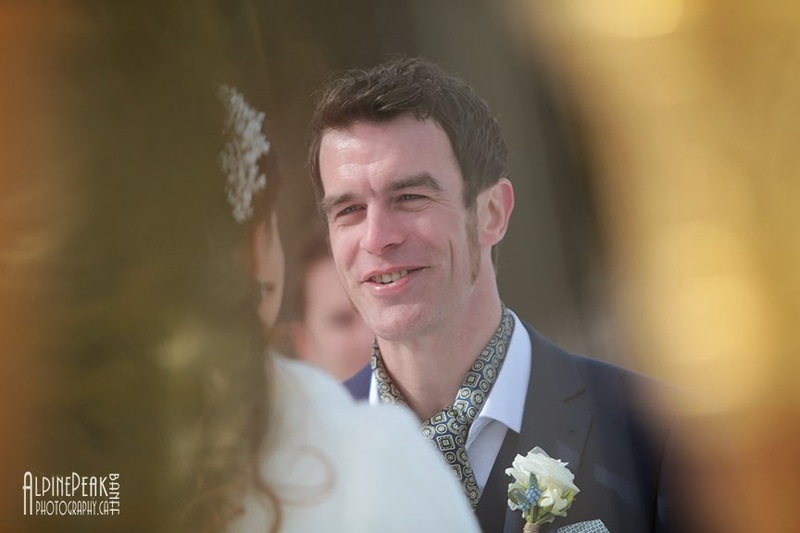 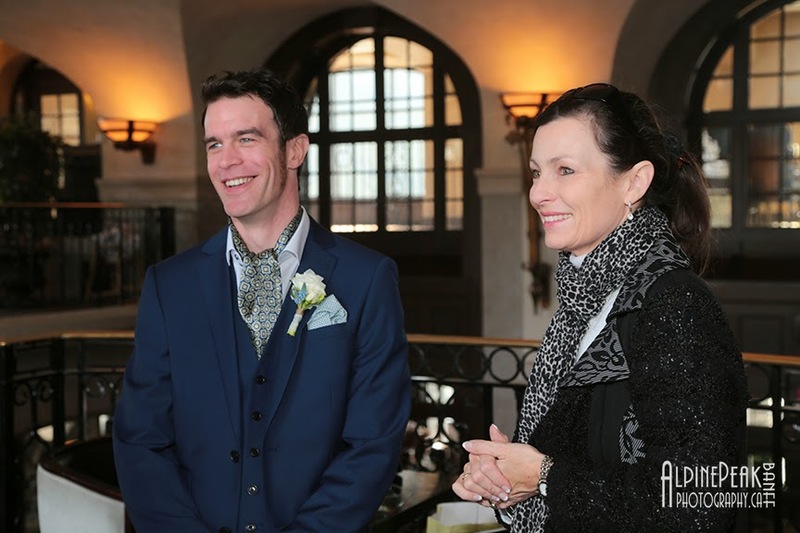 Local marriage commissioner Rob White performed a lovely ceremony. 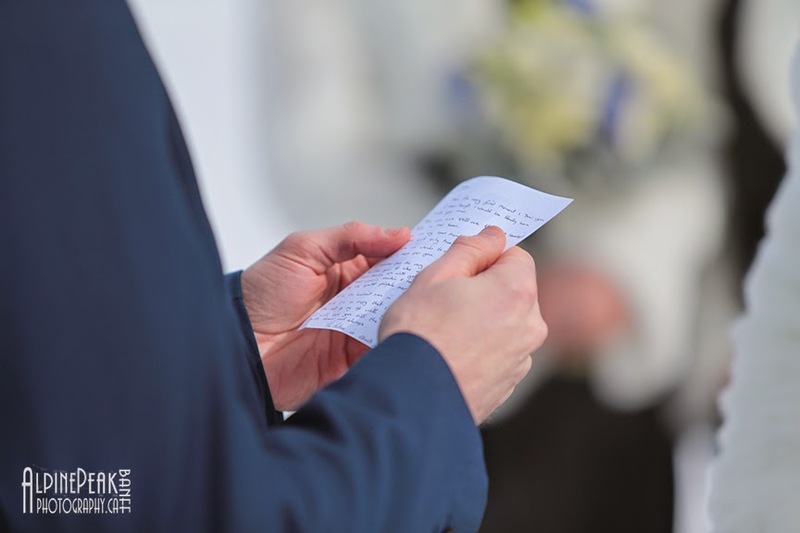 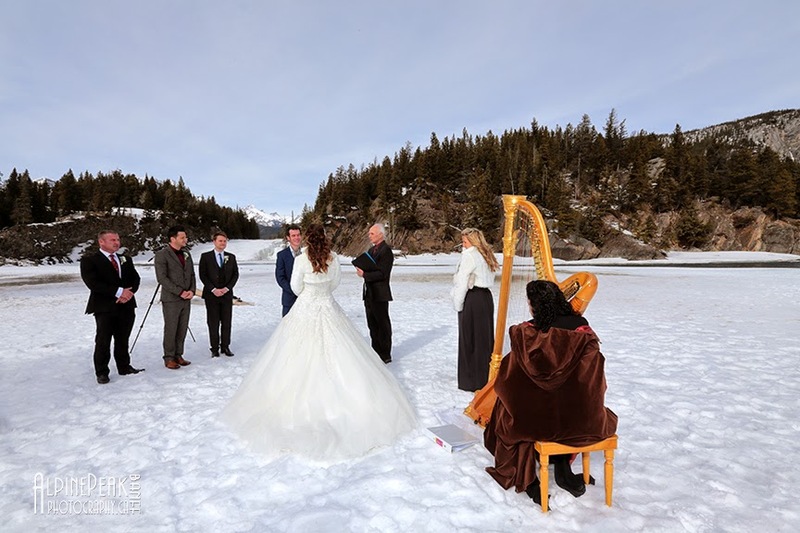 it sounded magical and created a romantic ambiance during the ceremony. 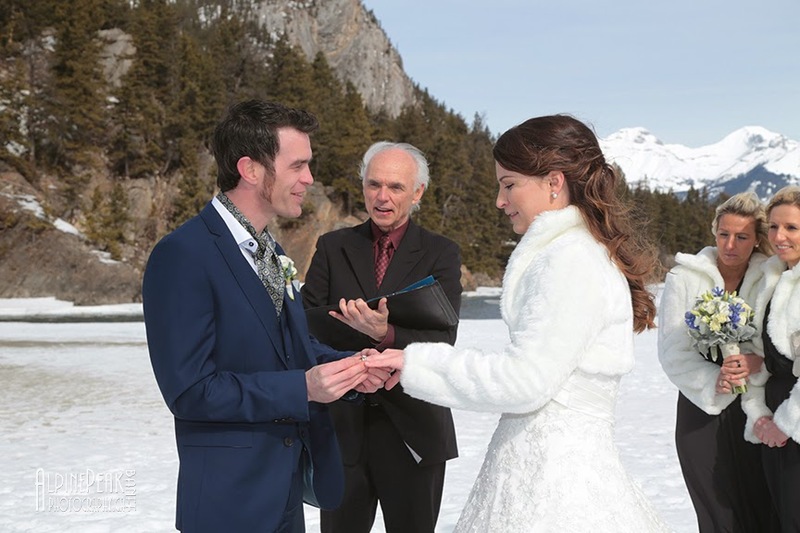 share their ceremony again with family back at home. 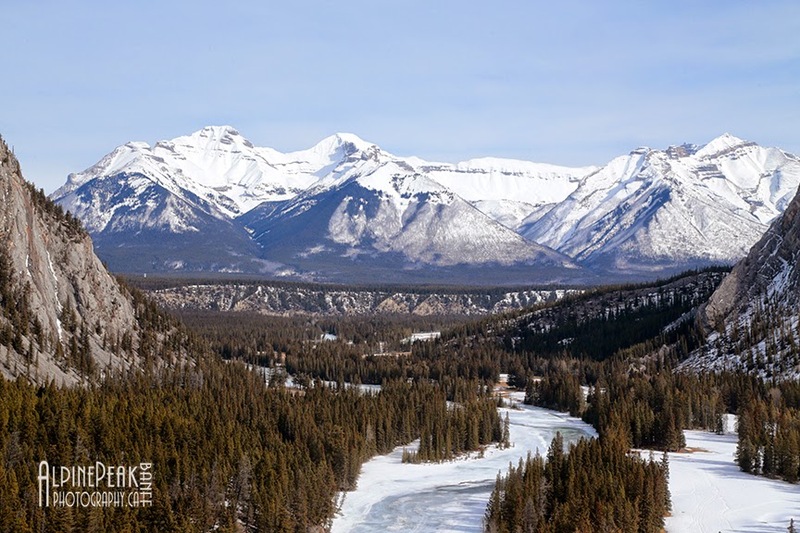 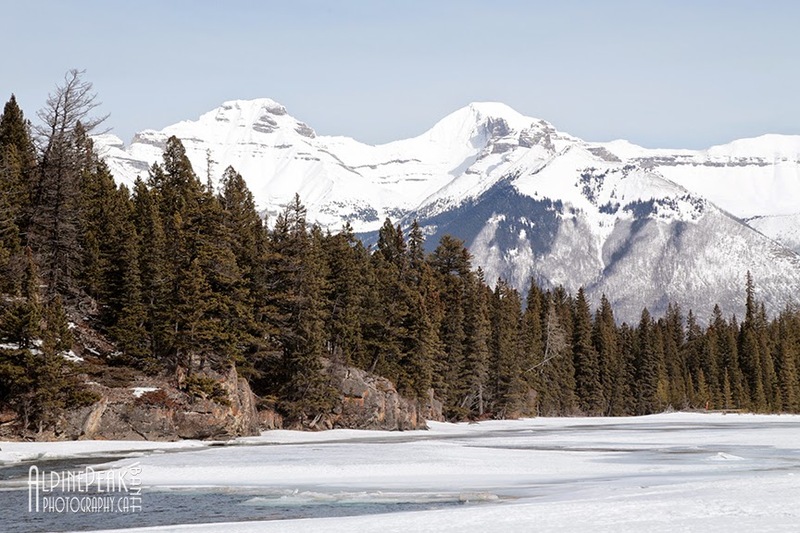 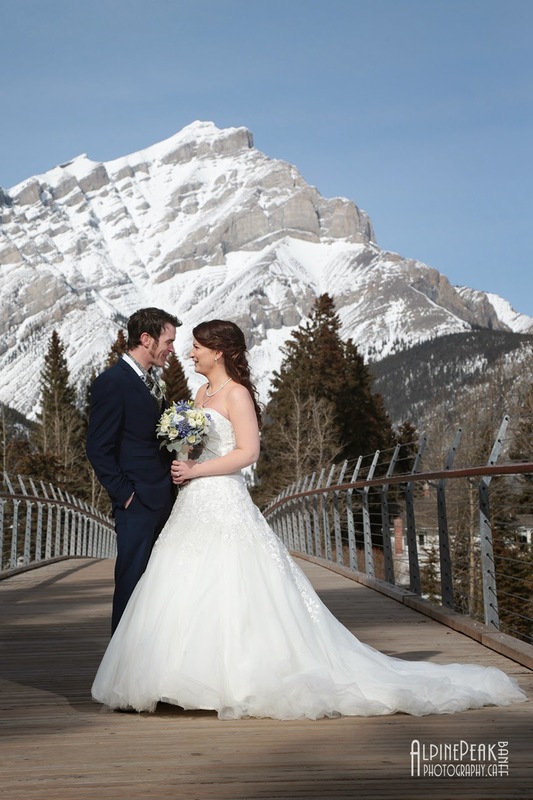 Cascade Mountain, our new bridge, what a photograph - we love Banff! 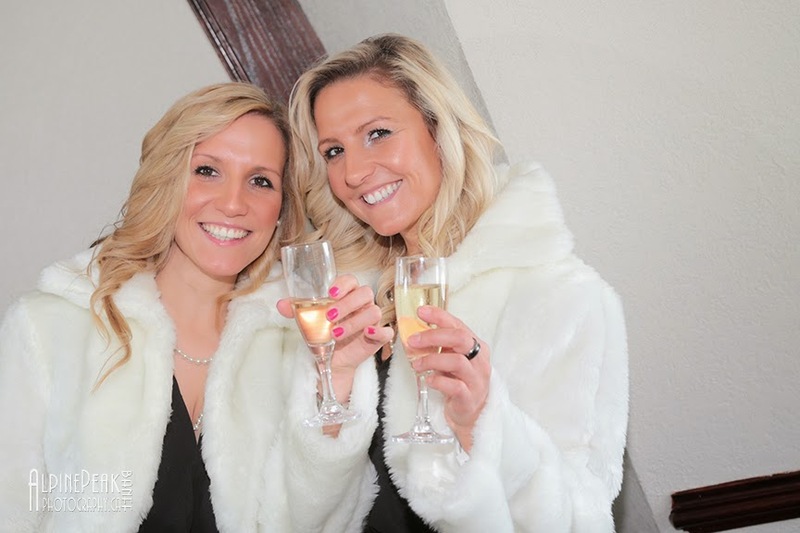 Time for a little Moet Chandon, can you see the cork? 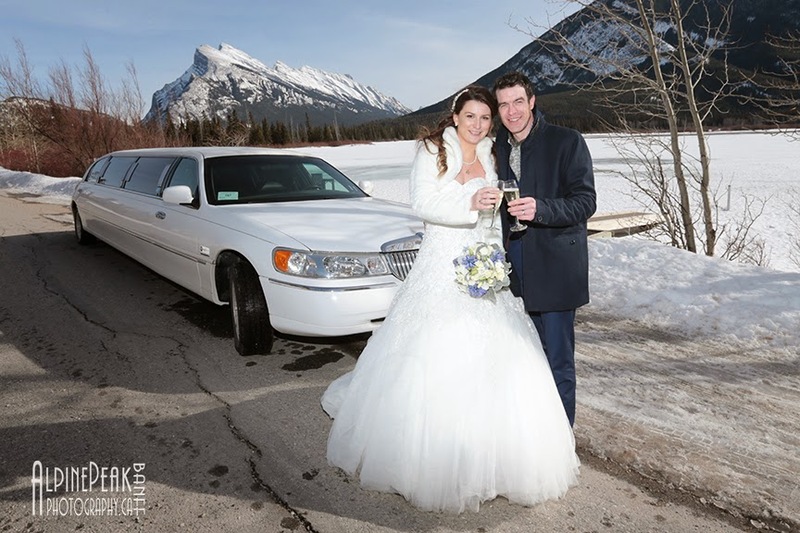 stretch limousine with your wedding part. 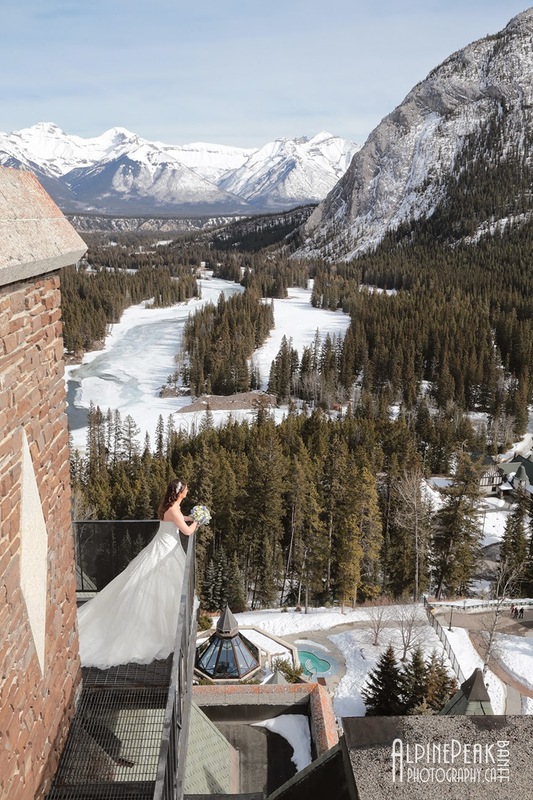 A classic Banff shot - and one of my most favorite viewpoints. 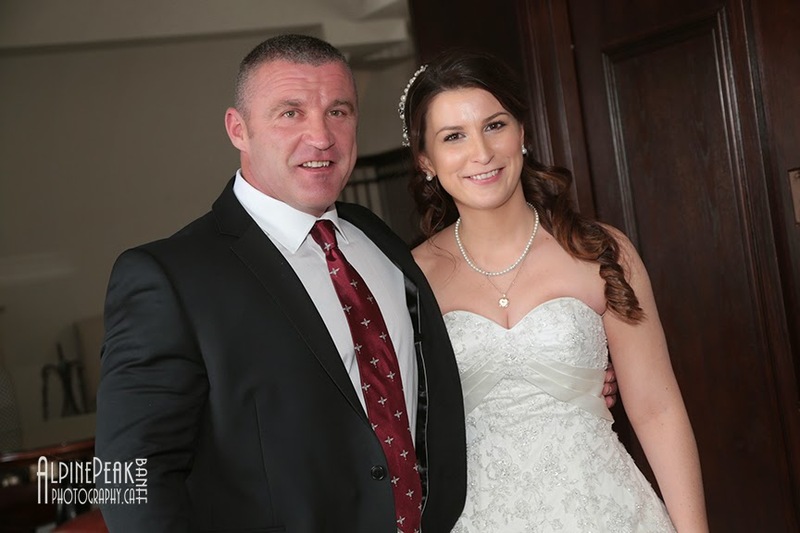 beautiful baby daughter who was born in early January 2015. 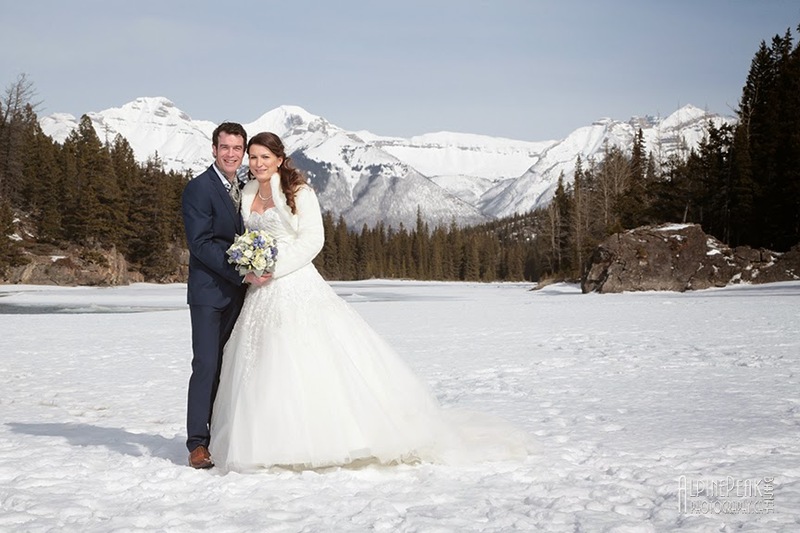 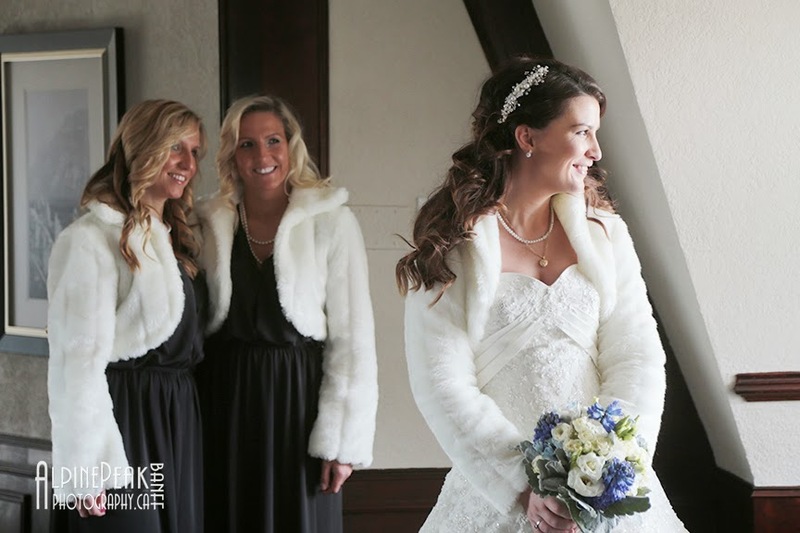 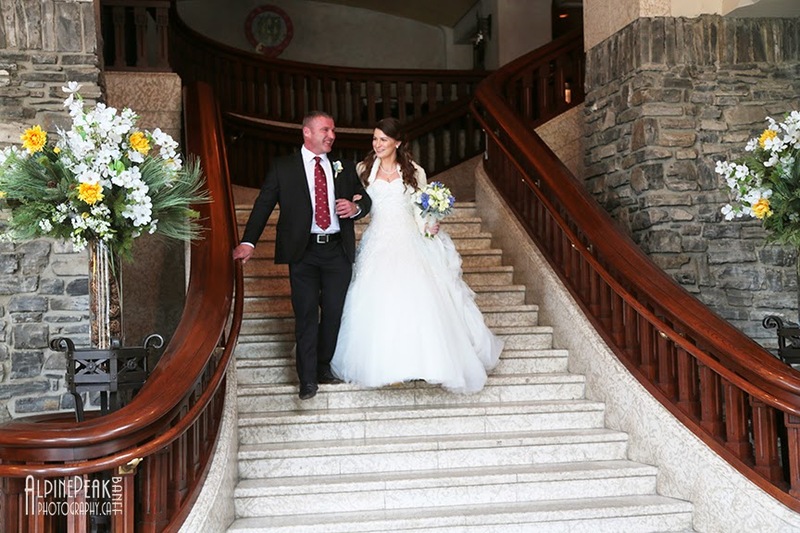 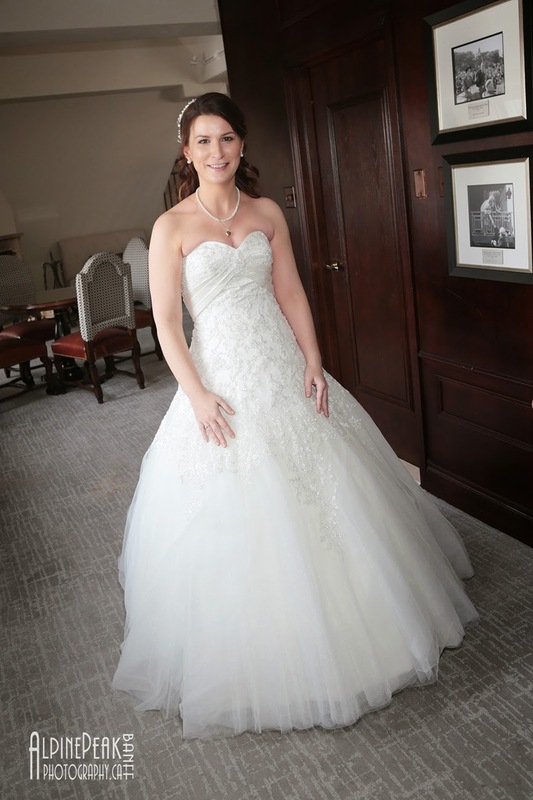 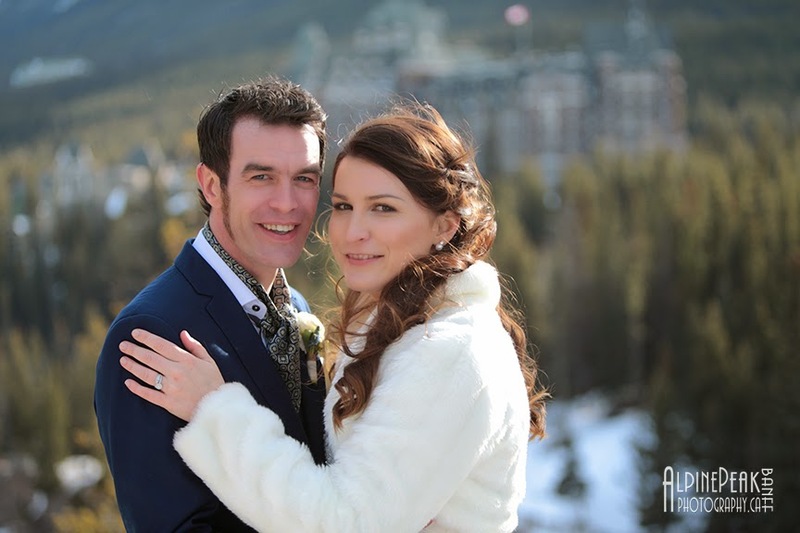 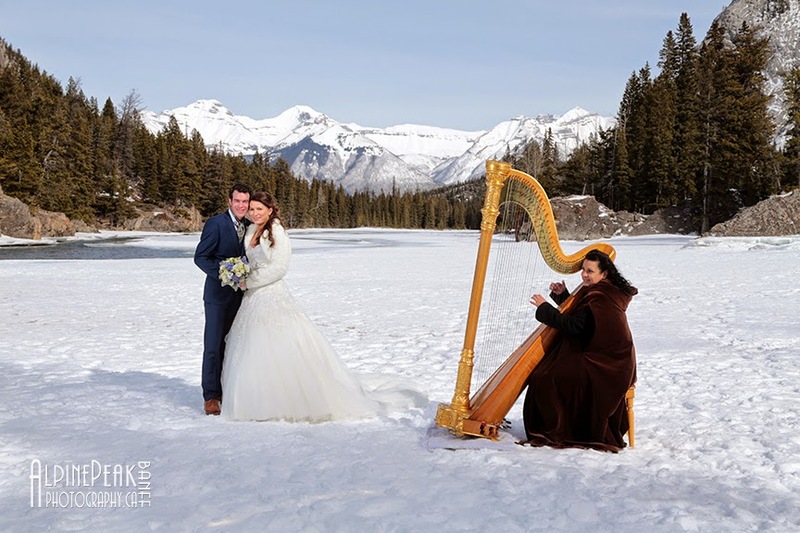 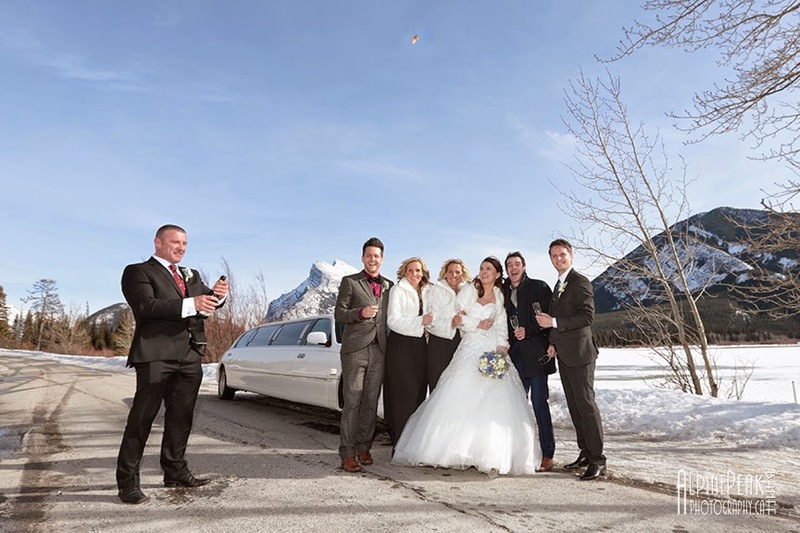 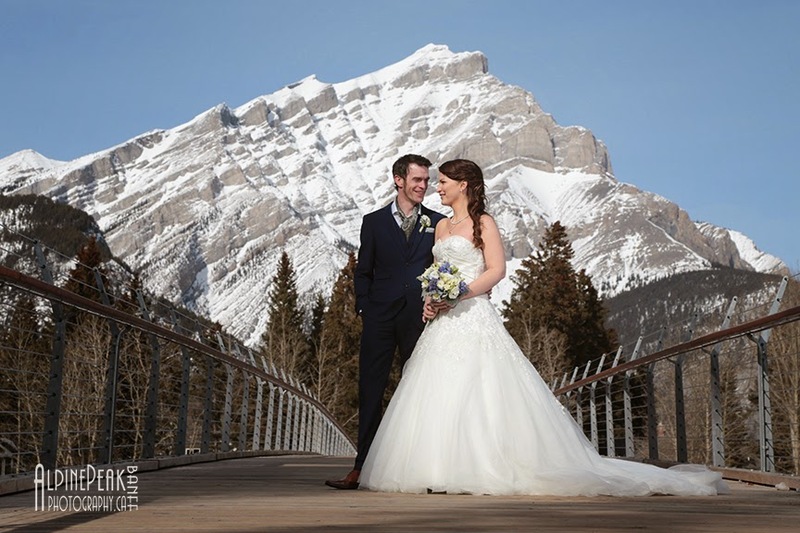 Carina & Chris, we are thrilled you chose to be married in Banff! 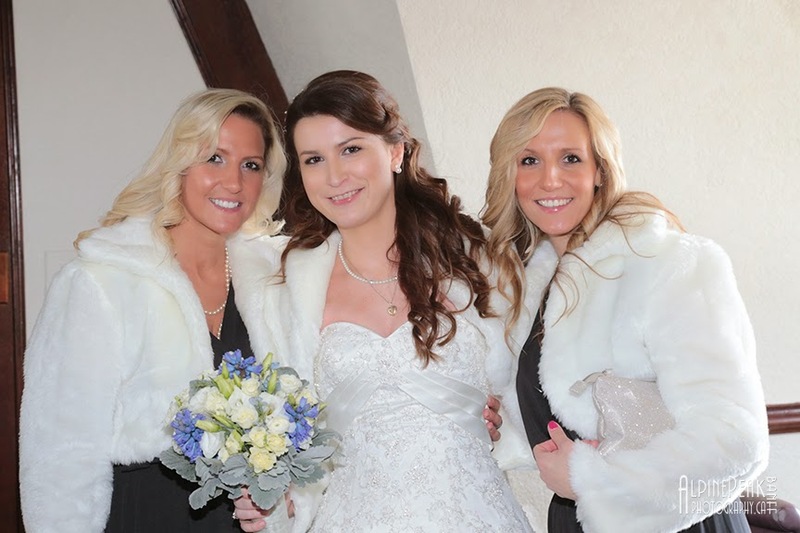 Thanks for letting us capture and be part of your wedding day. 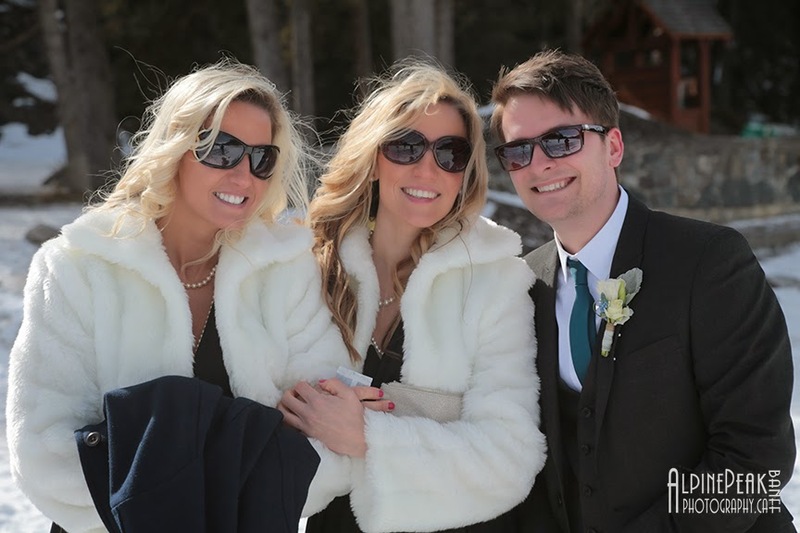 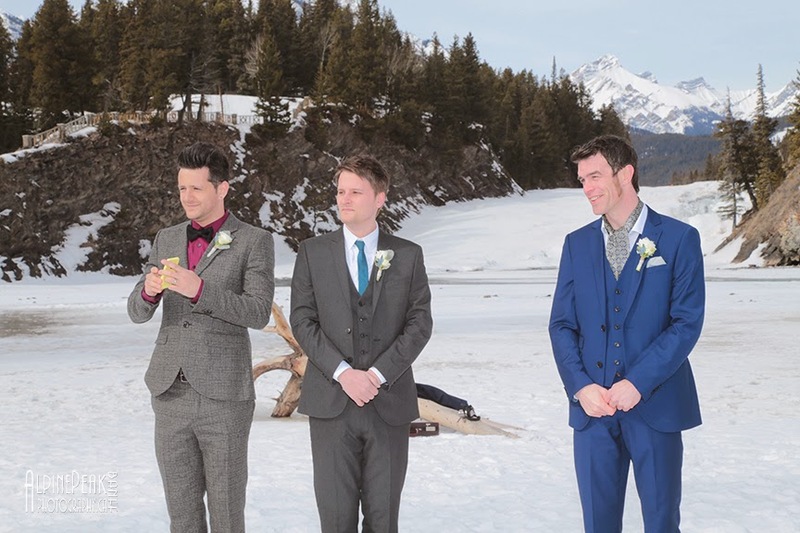 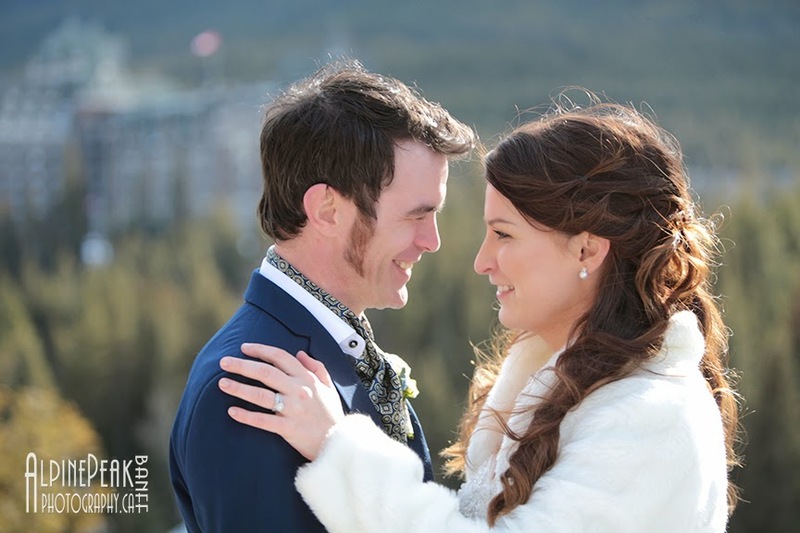 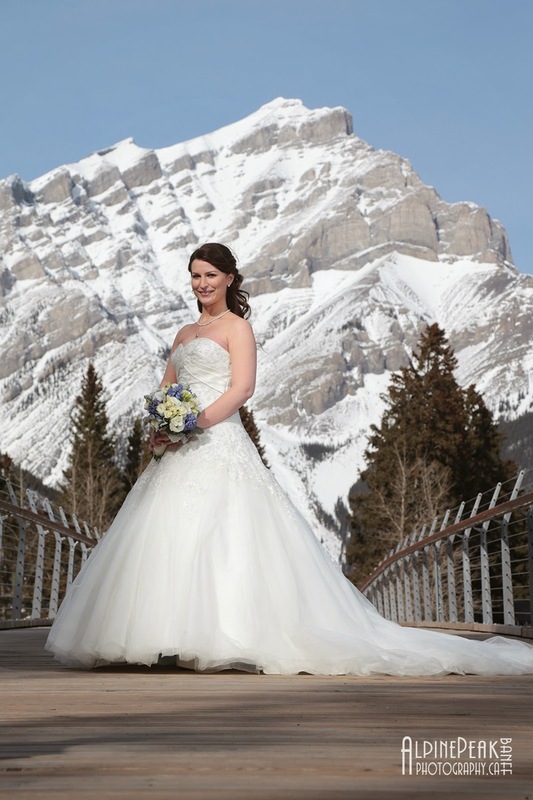 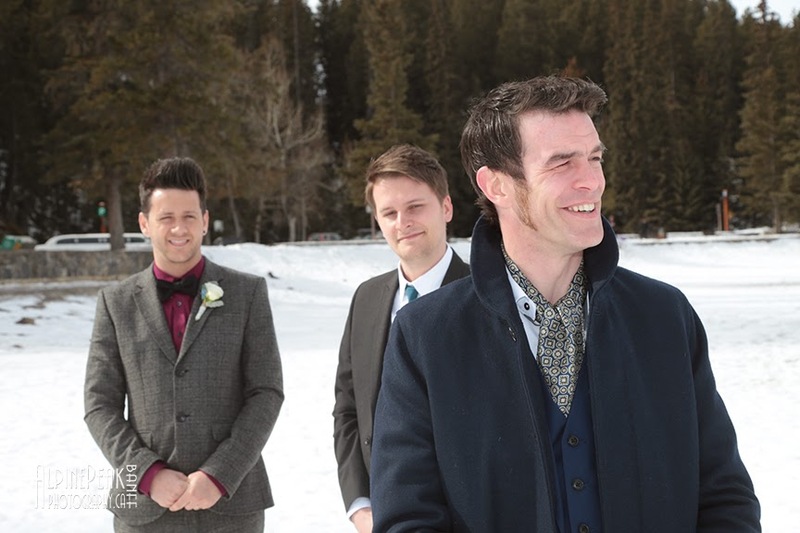 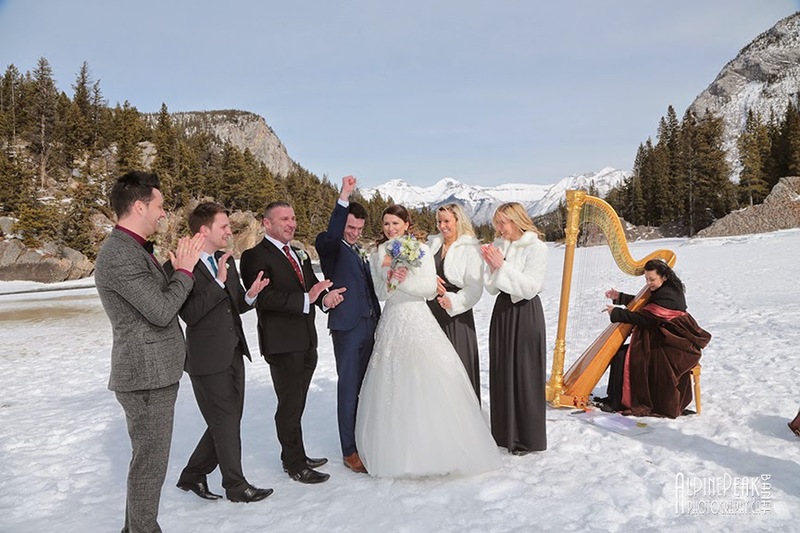 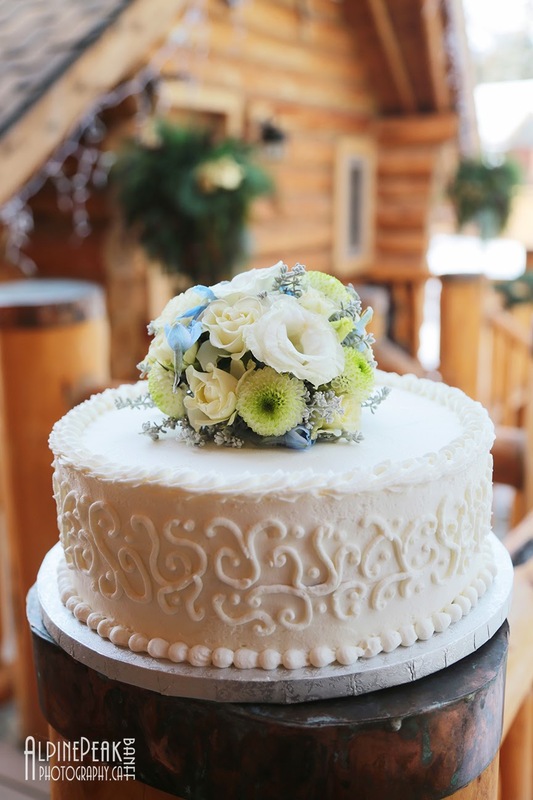 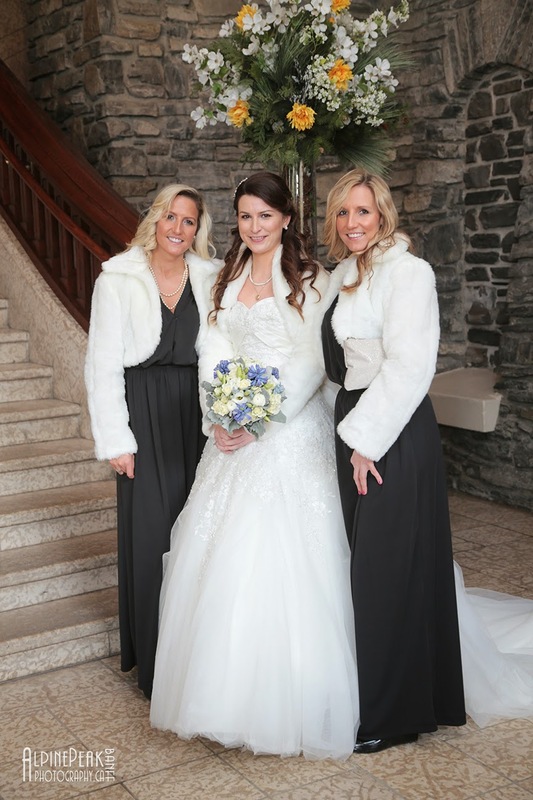 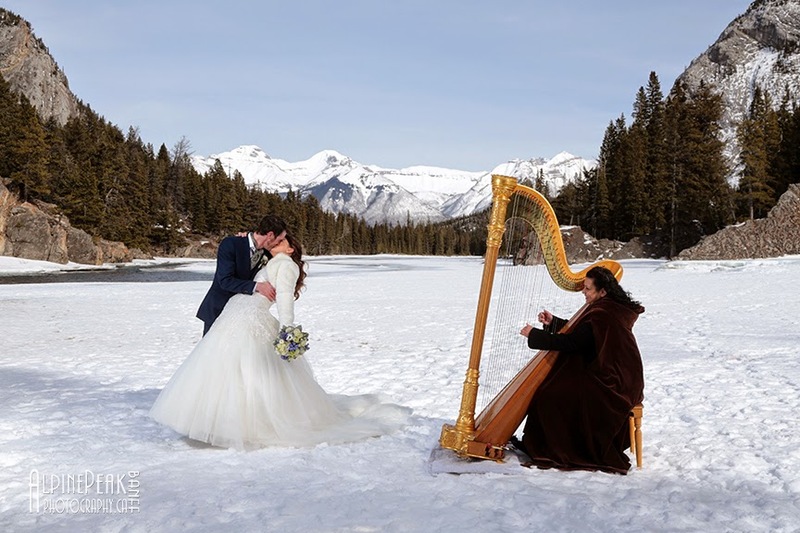 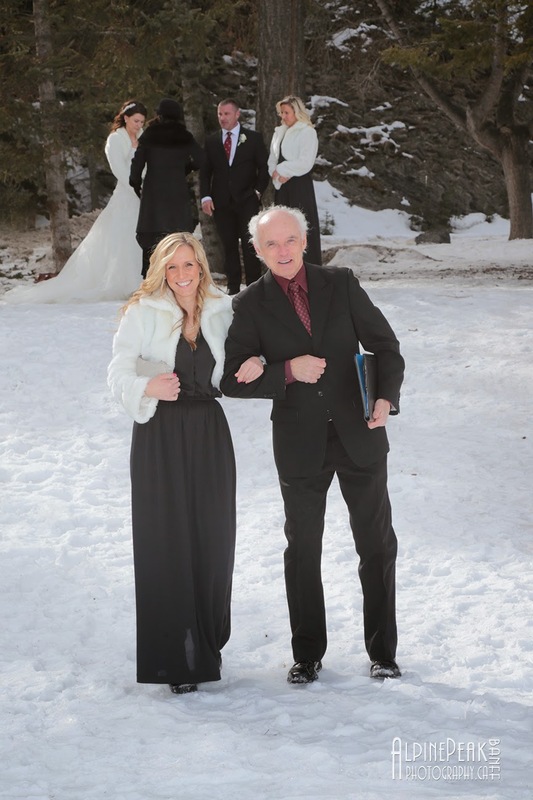 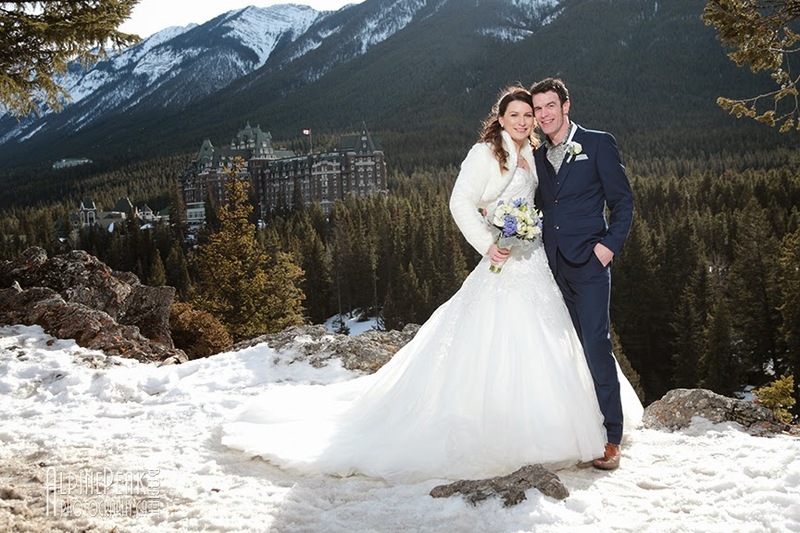 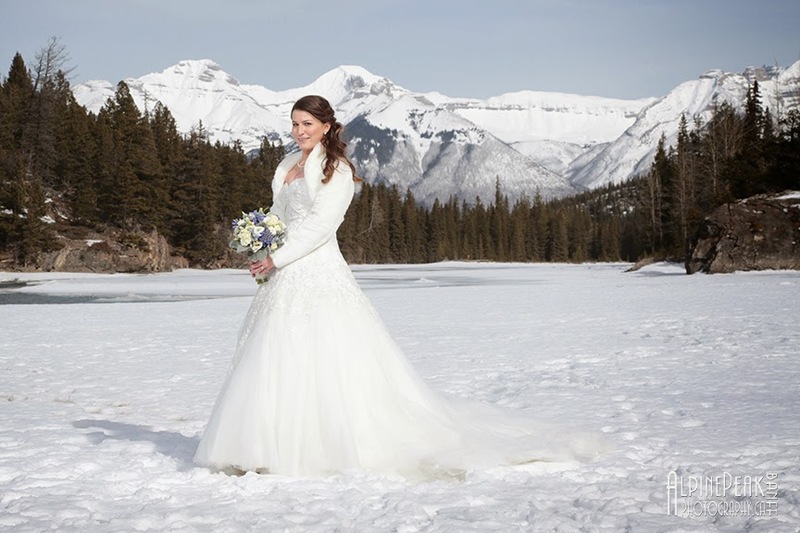 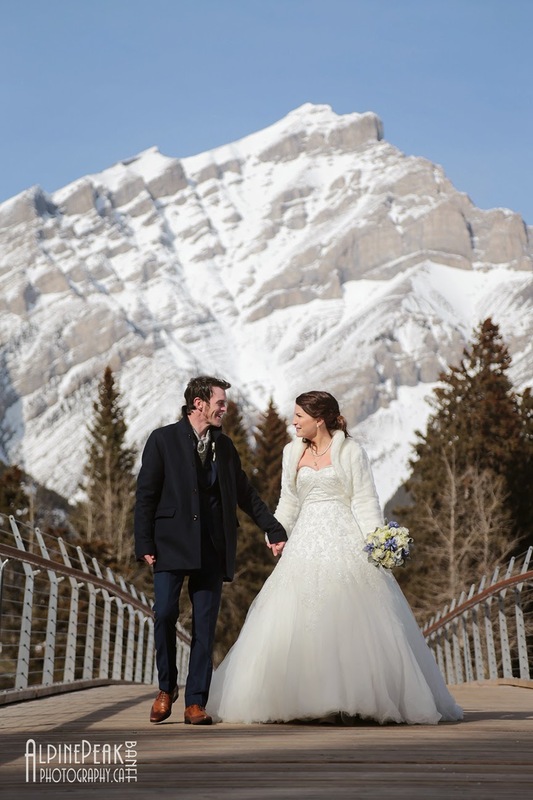 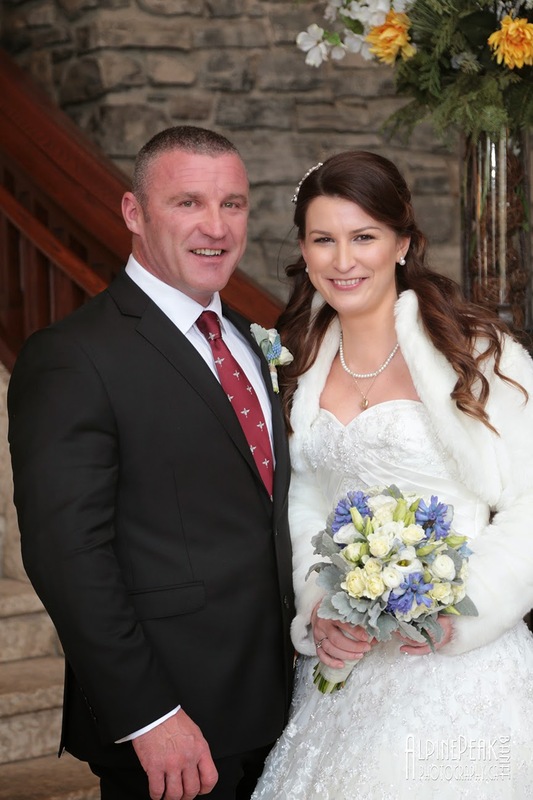 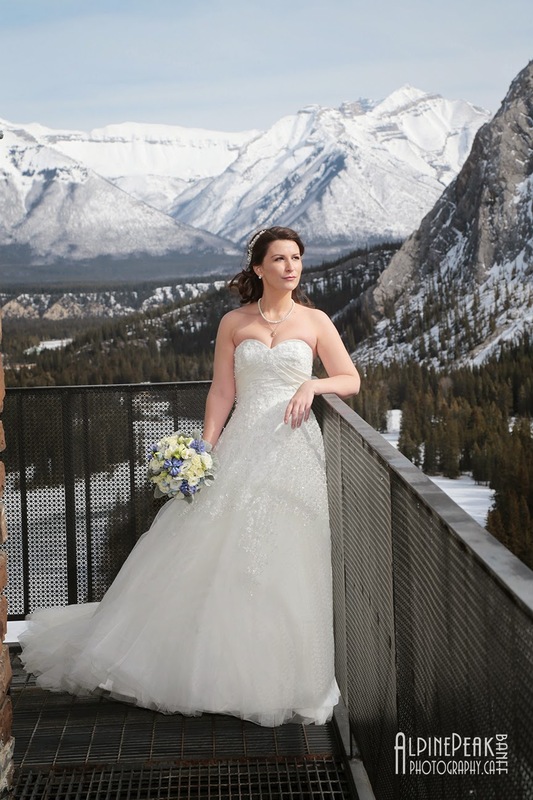 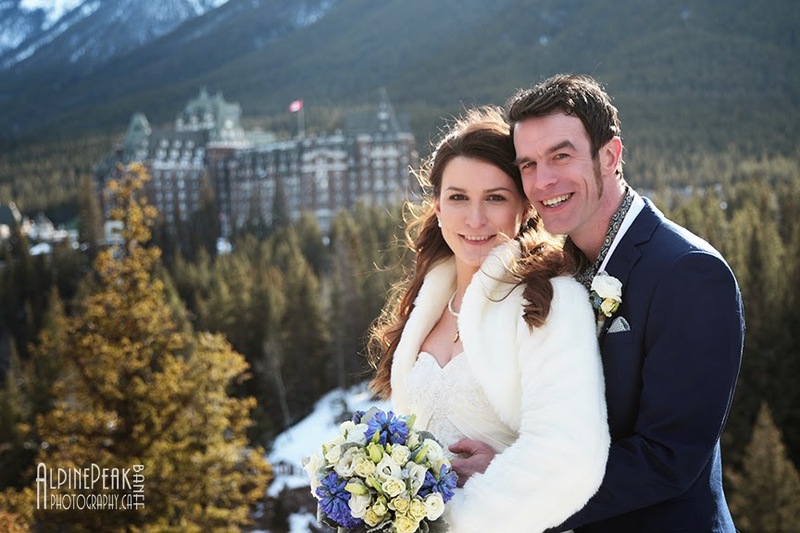 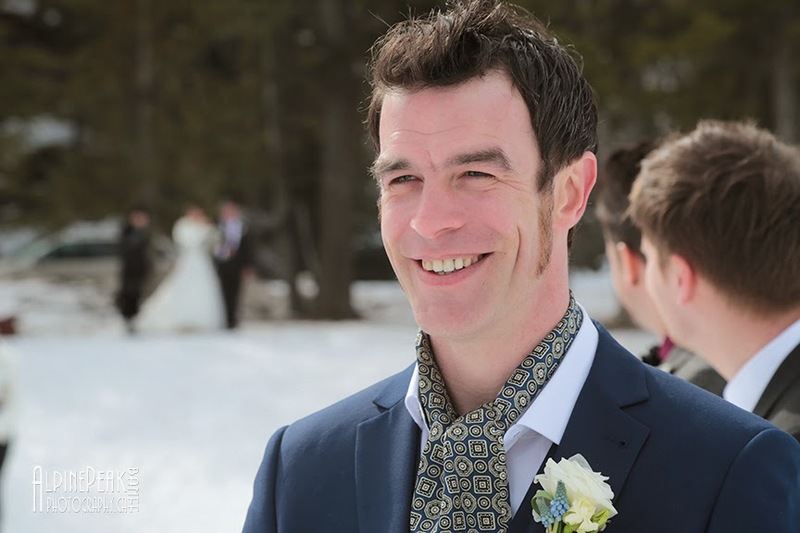 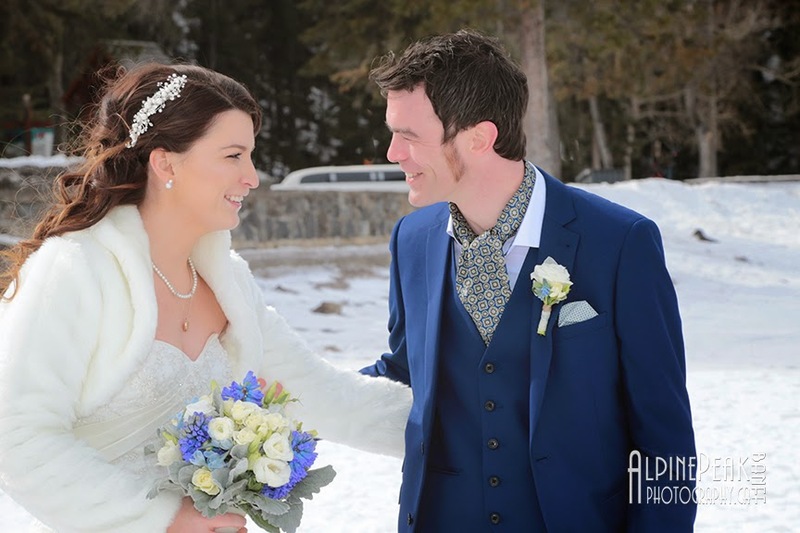 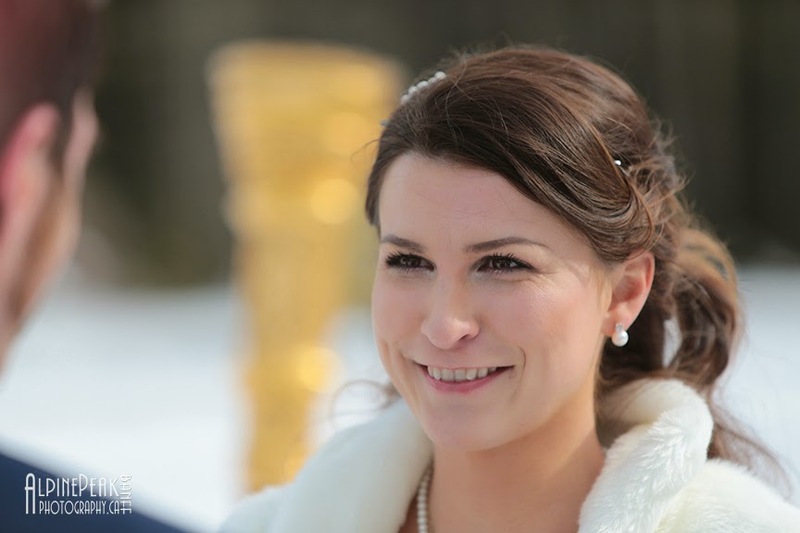 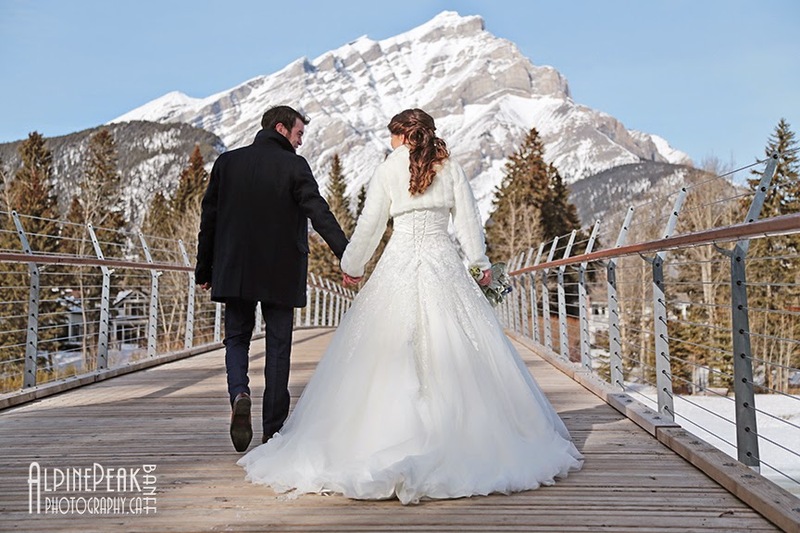 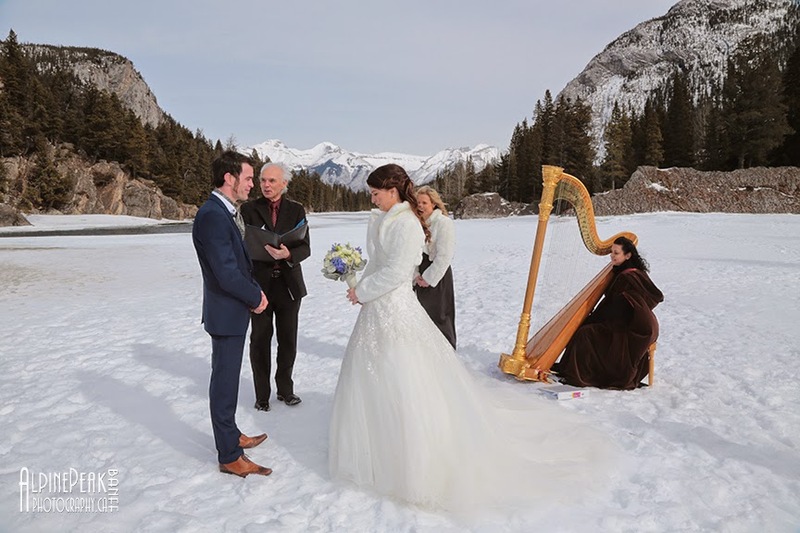 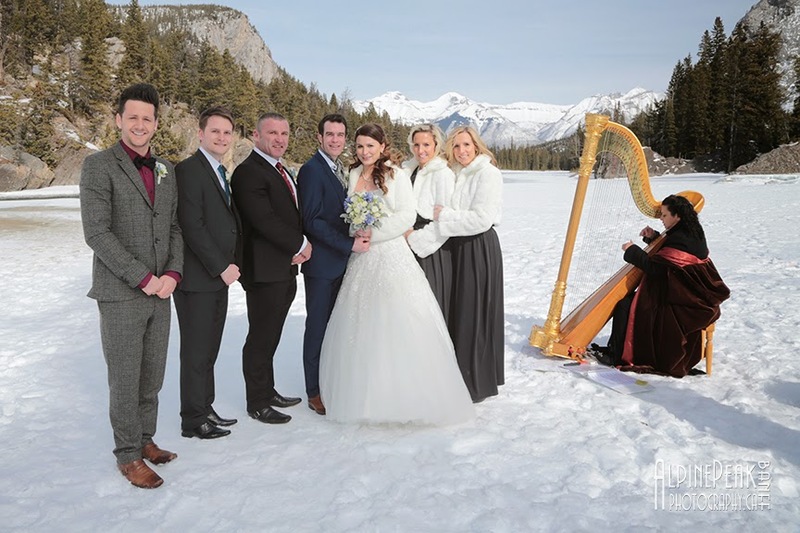 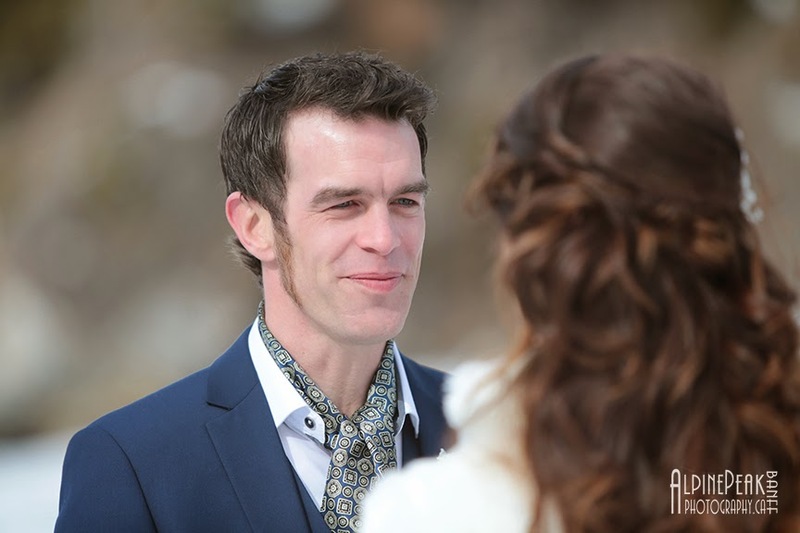 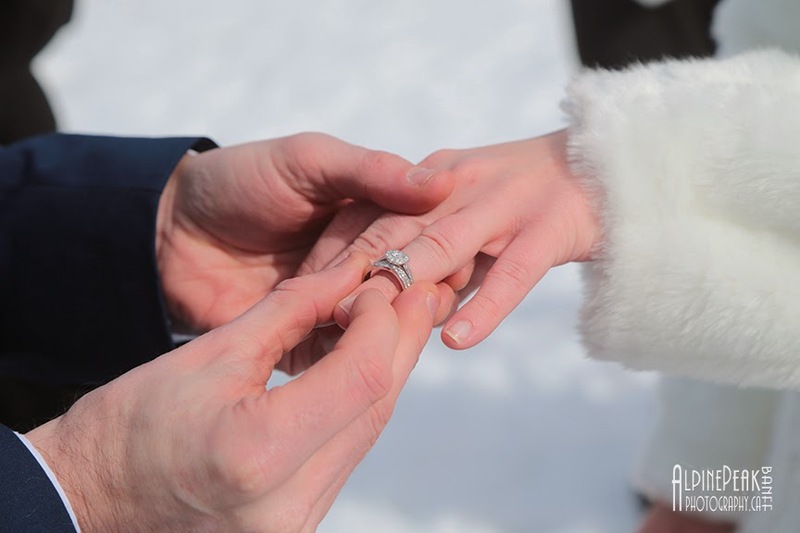 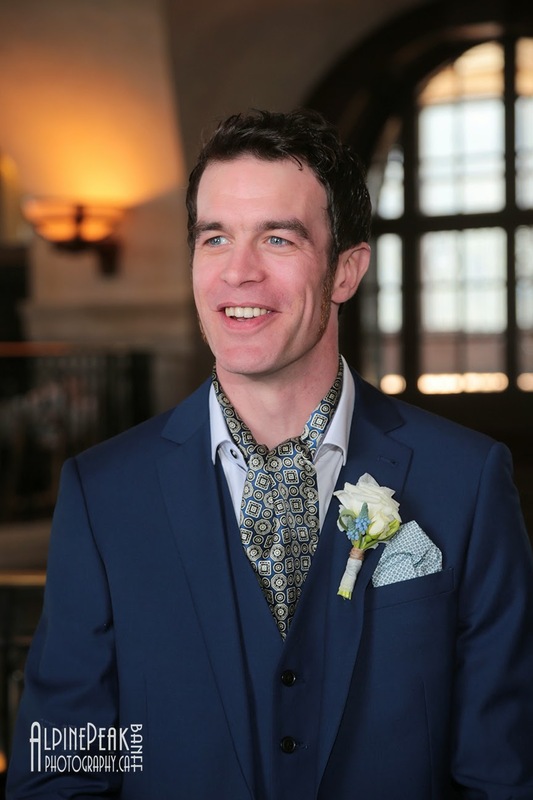 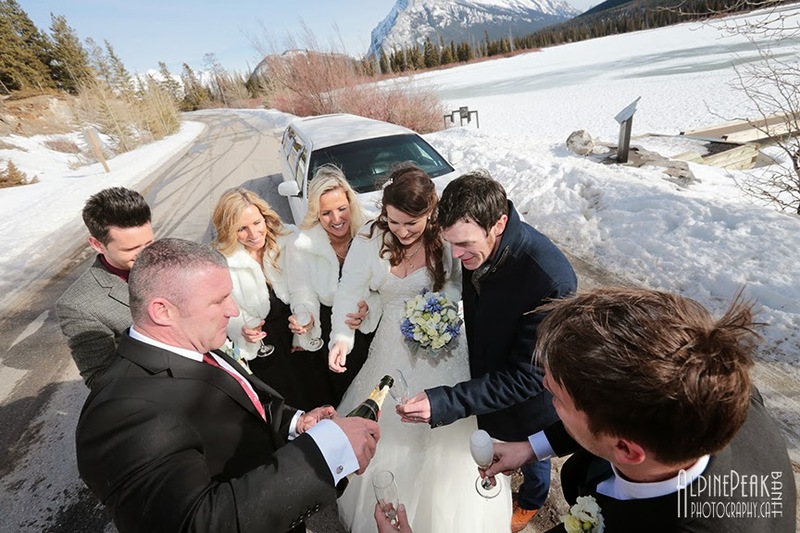 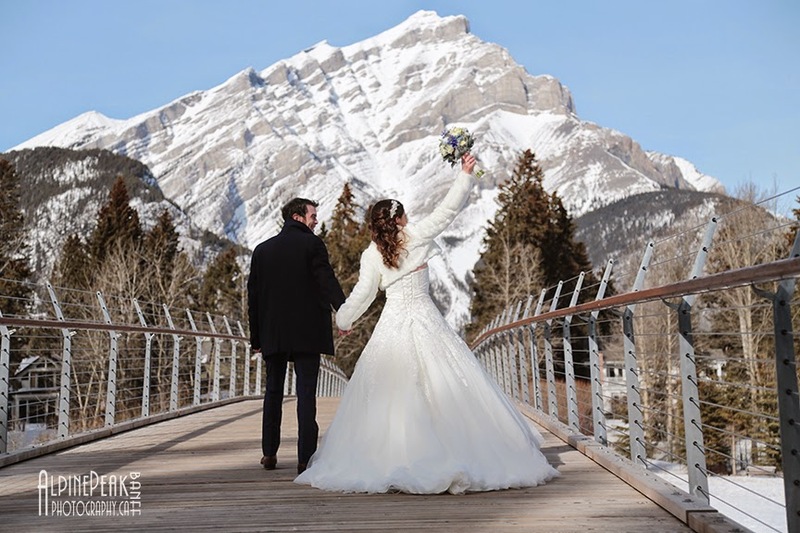 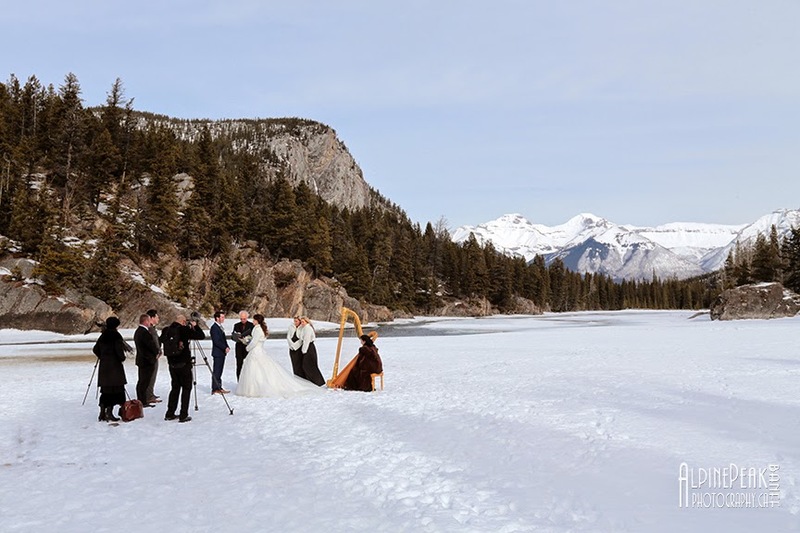 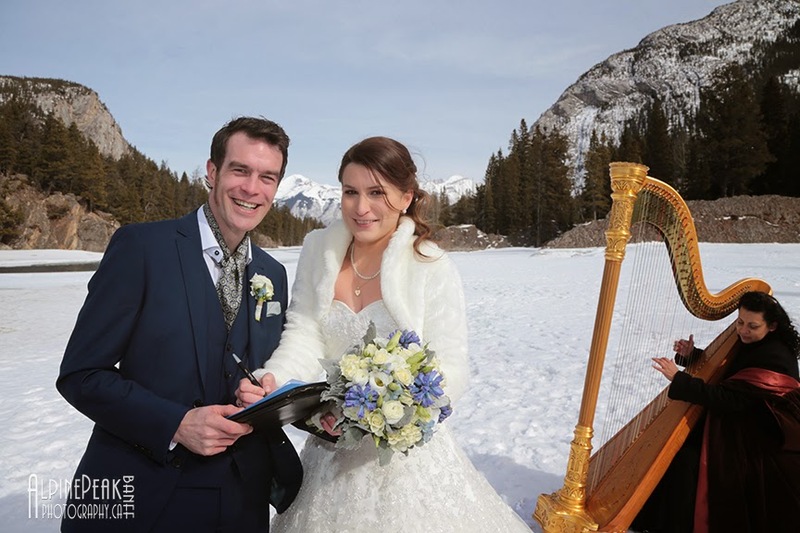 Wedding planner: Sharon Carmichael - Elope in Banff.